A family business. Spotlessly clean. 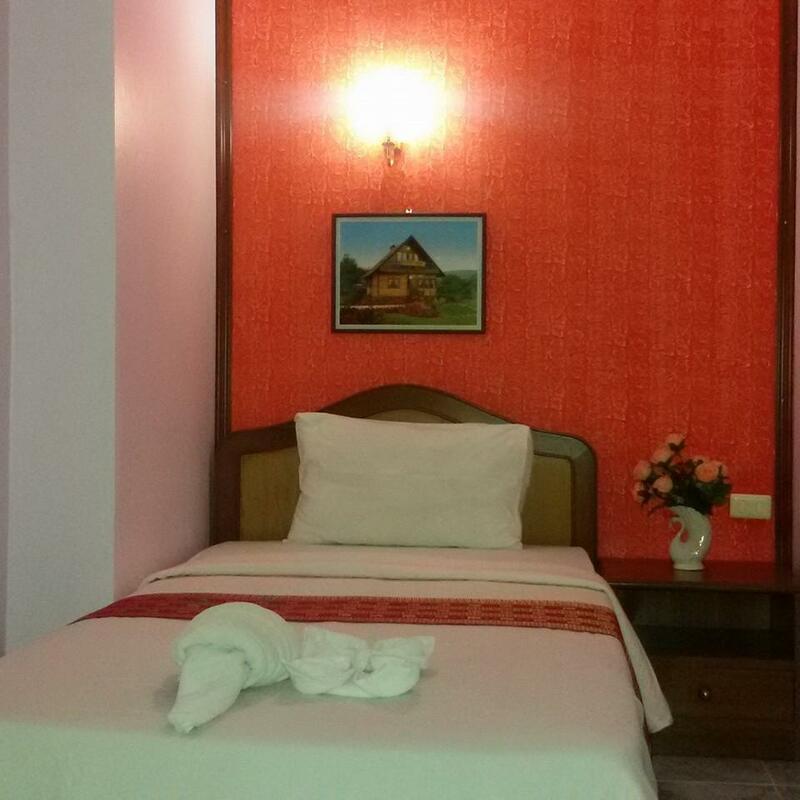 Very well located, close to night markets. Owners seemed pleasant but were not flexible. We asked to use their computer and the response was NO. I am 6'2'' and hit my head badly on the top of the door to the bathroom. It's VERY low and dangerous. Not suitable if you are tall. For the price I paid, this hotel was a great deal. 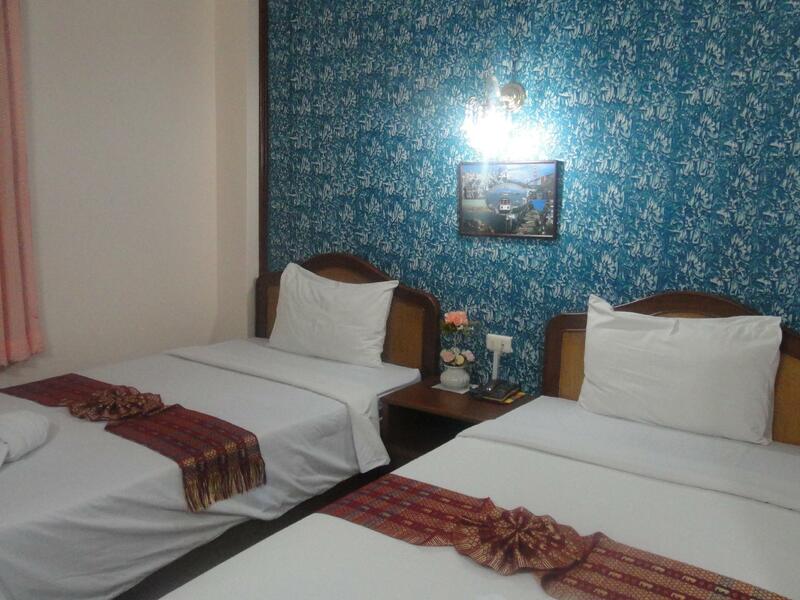 Compared to other low cost hotels I stayed at, this was the cleanest one I stayed at. They also had daily housekeeping which many of the other don't. The location is also great. It's close to a night market and a day market (ask owner for locations). Both markets are great and have really good, authentic food. It's also close to many shops that sell souvenirs for less than Ao Nang. Krabi Town is also a nice place to get away from most of the tourists of Ao Nang and Krabi. The food here is way better, authentic, and cheaper. Much preferred my stay here than Ao Nang. It was ok for us, though we were just killing time waiting to fly out of Krabi which doesn't seem to offer much more than its night market (and airport/port to nearby islands). Didn't have breakfast as we left too early, one of the managers ran us to the airport for £8, probably over the odds, but it was 6am. We needed a place for overnight as we did not catch the last ferry/ minivan departing from Krabi to Koh Lanta. 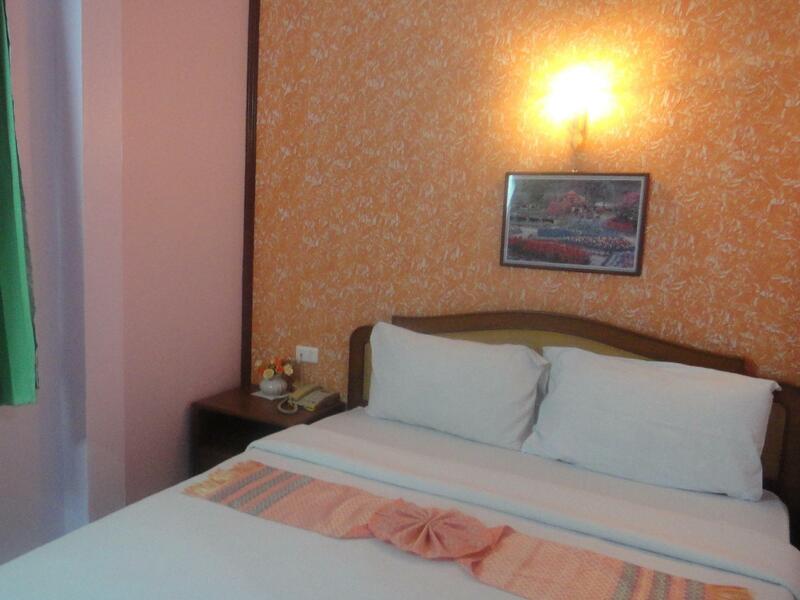 Very friendly and helpful owners, location in Krabi city centre, next to te night market. If we would need to stay in Krabi again for commuting to the islands, we would use it again for 1 night. We booked and paid the room the night before, and when trying to check in we were told the room was not available. Probably they do not update the availability online and therefore create double bookings. Nonetheless, they were very proactive to find a very good room in a nearby hotel (The City House) and arrange all the movement of our luggage there. The other hotel didn't offer any breakfast so we had breakfast at the booked hotel as any guest. It wasn't a pleasant experience to figure out we didn't have a room to stay, but I have to say the managed very professionally showing care for us. I can't say anything about the room, but the breakfast was find (basic continental but fine) and the location is convenient if you need to walk to the market or the long-tail boat port. Nonetheless, I agree with the suggestions to use Krabi town as an entry place but to arrange if possible a stay in the islands where the real beauty of Krabi Province can be experienced. The staff was so friendly and willing to help me plan for tours or to catch whatever boat or ferry I needed. It was easy to get to the pier from the hotel. No nice beaches were particularly close so I would suggest staying elsewhere if you are interested in just hanging out on a beach all day. It is a well located and run by friendly staff. So nothing to worry. You get what you pay for. So don't expect a 5 star hotel. Good value for money. The staff was very helpful. We were the only customers (low season!) 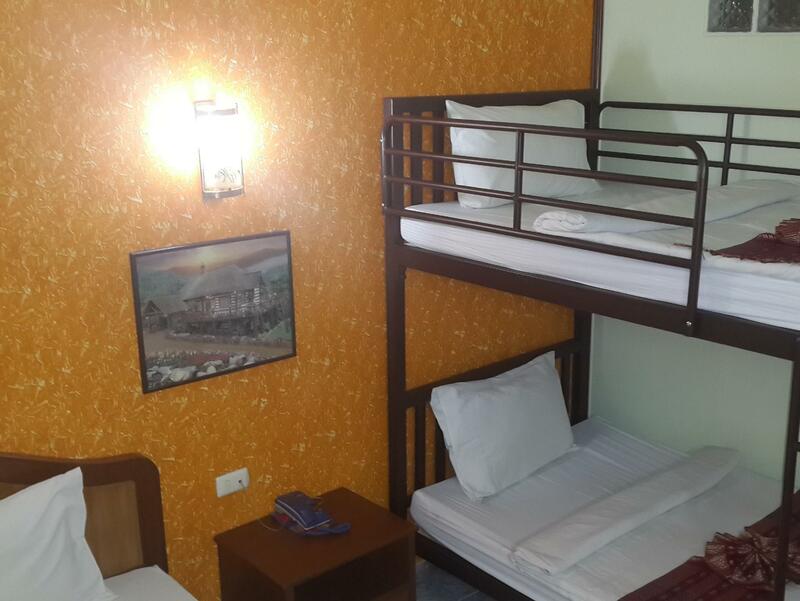 However in the Agoda advertisement appeared "Only three rooms left" for all four room categories. That was never DELUX. No table, no chair, very small room, flow-type heater did not work except producing noise when completely shut off, however the fridge was ok. We paid about 900 Baht incl. continental breakfast, tax, service for the Flash Deal - Limited Time Offer. Rate included 50% discount. From our point of view that was far too expensive! 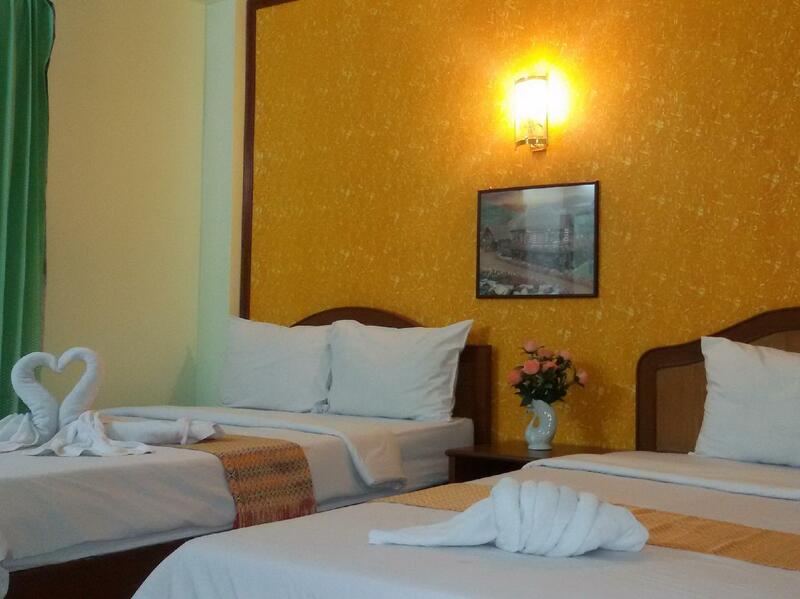 Nice room, good beds, good breakfast. Nice people, they arrange all transportation to anywhere you want to go. Don´t have much to say, just stay there to be near to the airport. friendly famile run hotel. very neat & clean.good for relaxation & if you want to save money.